The City’s Fast Incident Response & Solution Team (F.I.R.S.T.) is just a phone call away! When you request our help, we will call you back within 24 hours. Together, we will make a plan to best respond to your service needs. How do I get assistance from FIRST Response? FIRST will respond to calls during normal work hours (7 am – 3:30 pm) Monday through Friday. 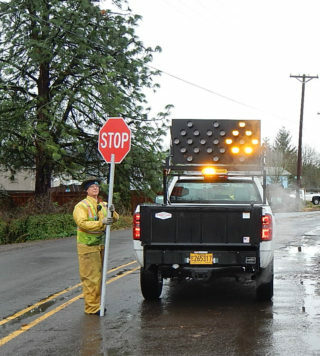 Call or email the Development & Public Works Department’s Operation Division at: 541.726.3761 or dpw@springfield-or.gov. What if it’s after normal work hours? 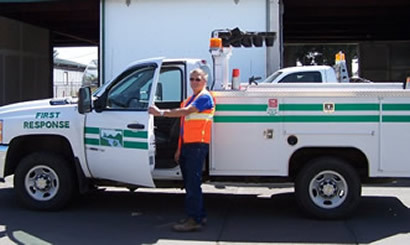 We will respond to maintain vital services (drainage, wastewater, transportation). Call the Police Department’s non-emergency line at: 541.726.3714. The FIRST program was created to provide a fast avenue for citizens to get in contact with City maintenance staff to resolve problems.